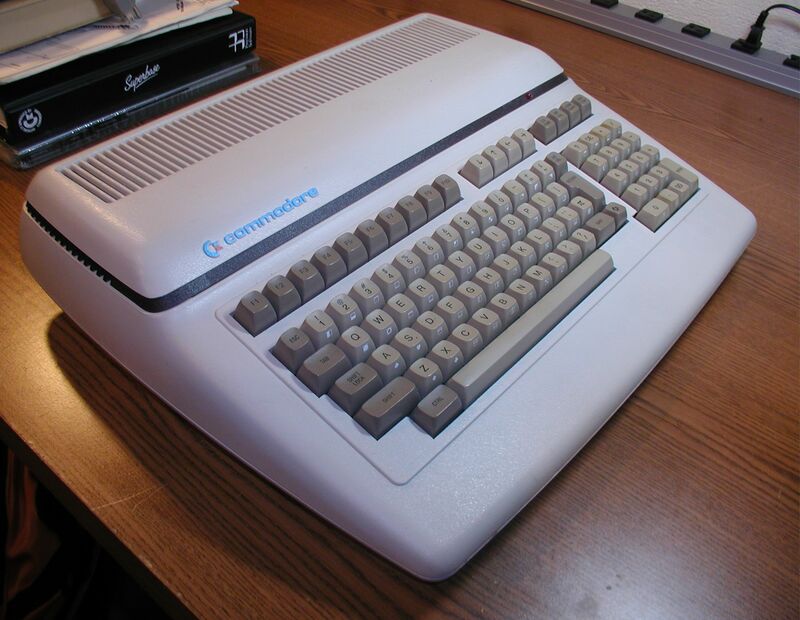 Before the C-64, Commodore put out a few computers containing SID sound chips. The first was the P500 which was followed by the equally rare B500 model. For reasons unknown to me, just before going into full-scale production Commodore renamed the B500 "B-128", making the original nameplate version very rare. The name change occurred before even the manuals were printed. I don't know exactly how many were sold, the serial number is probably not directly connected to the production number of the machine. Other than the ROM version and perhaps the power supply the B500 and B128-80 are virtually identical. NOTE: The North American NTSC B500 is not to be confused with the PAL European B600. 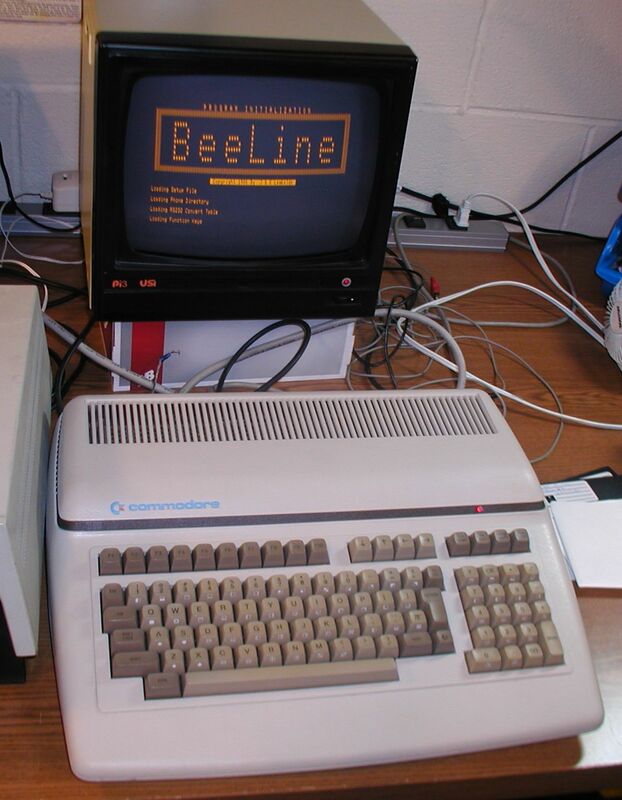 Commodore B500 running BeeLine RS232 Communications software. Within the video linked above is a brief demonstration the use of a Wifi232 Modem installed in the RS232 port of the machine. 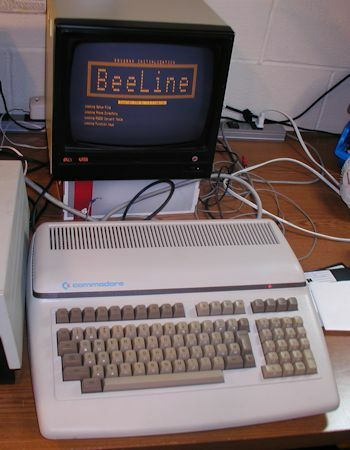 Using BeeLine software, the computer is used to connect to the Area 29 BBS. Click image for larger view. The rear of the B500 with its multiple port options. Click image for larger view. If you're into SID chip music consider what you could do with one of these machines - 2X the RAM and 2X the speed of the C-64. 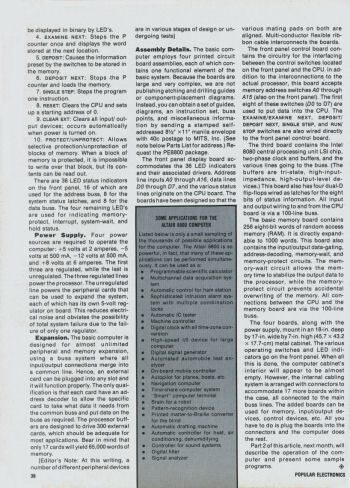 Alas, because the B500 had no VIC-II chip graphics were limited to TRS 80 Model 3 quality. 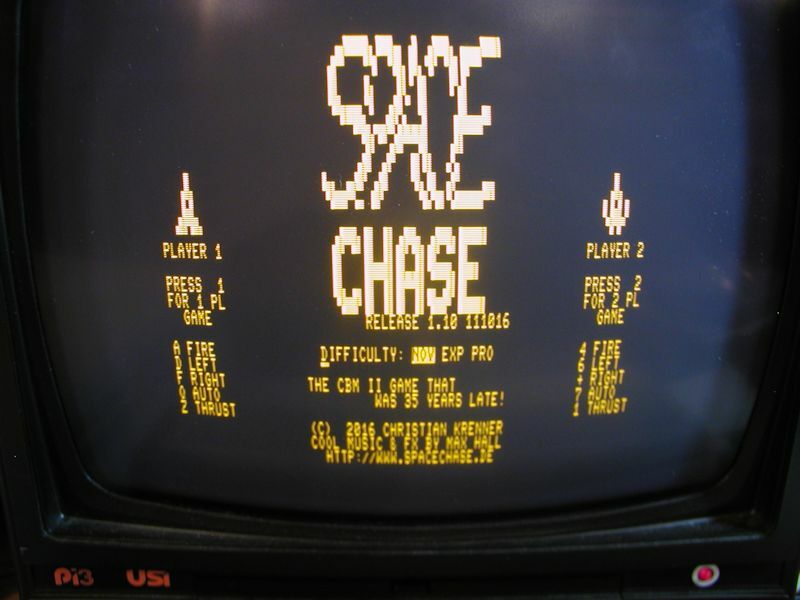 Pictured here is the opening screen from Space Chase, a game program written for the B Series Computer. The graphics are kind of weak due to the system limitations, but the audio is superb. Well done! The video link above contains a demo of the game in action, including the opening music. Click image for larger view. The memory map shows that the RAM storage area available for large SID tune data files is limited. The B500 requires that one program "bank switching" to access more RAM to store play long songs.